I never thought the fifth wheel of a car would be the most important one, but this incredibly unique VW Kübelkäfer built by Robert Heim makes me question my beliefs. The builder himself does not know exactly why anyone would drive or design a car like this, but the result is definetely original and interesting. 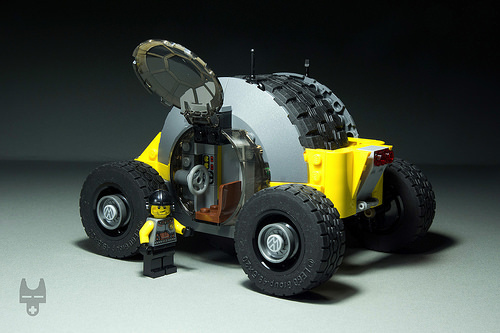 While the central large tyre and its incorporation into the overall design of the vehicle is good, my favourite part has to be the cockpit, which appears to close up almost perfectly – just one of those satisfying moments when random bricks come together to create a very coherent shape.